Of the 13 beaches on Boracay in the Philippines, stunning Diniwid beach is the choice for those who want some calm and privacy. 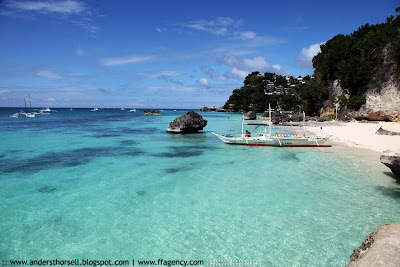 However Diniwid is just a 10-minutes walk to all of the action located at the center of Boracay Island. Läs mer om världens bästa stränder. # 95 - Being boring in Kalibo!